Thanks for your interest in Limbaugh Toyota’s Business and Commercial (Fleet) division. Did you know that a “Fleet” can actually consist of just one vehicle for your business? That’s right! Here at Limbaugh Toyota we can meet your business and commercial vehicle needs even if your fleet consists of as few as one vehicle. We have the vehicles you need – whether it be one of our environmentally friendly hybrids, powerful trucks, SUVs, or efficient passenger cars. Need more than one vehicle to complete your fleet? We can do that, too! 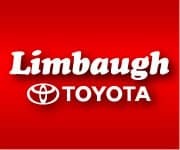 Did you know that Limbaugh Toyota’s Fleet division is managed by Mark Limbaugh? That’s right – this area of our-family owned business is managed by a member of the Limbaugh family. This means you can take care of your business’ vehicle needs with one of the most trusted families in the business. The Limbaugh family has been serving the automotive needs of the Birmingham area for over 50 years! Our team is committed to helping you find exactly what you need to help your business run more effectively and efficiently. When you choose Limbaugh Toyota’s Business and Commercial division to help with your company’s fleet needs, not only are you getting a name you can trust, but you are getting a fabulous service department that is only 5 minutes from the Downtown area, the only certified Toyota collision center in the Birmingham area for those unfortunate accidents, and quality products you can depend on! We also have car rental services on site to get your fleet back on the road as fast as possible if you do find yourself in need of our service department or collision center! Please give us a call or drop by during normal business hours to speak with Mark, or any of our other trained professionals, who can help you fill those business needs. How large does my fleet need to be in order to qualify for commercial pricing? At Limbaugh Toyota, commercial pricing is available for company fleets with as few as one vehicle. Is commercial pricing available for all Toyota models? Since the vehicle needs of our customers vary widely, Limbaugh Toyota applies commercial pricing to all the models that we sell – passenger cars, SUVs, vans and trucks. Can I lease my fleet vehicles from Limbaugh Toyota? Yes, leasing options are available to all commercial customers on all models. We have access to very competitive leasing terms and conditions. What if I want a vehicle for my fleet that you don’t have on your lot? Limbaugh Toyota is one of 173 dealers within Southeast Toyota. We can perform dealer trades with those dealers in order to fill your fleet with just the right cars and trucks. Is the ToyotaCare program (2-year/25,000-mile free maintenance) available to my fleet vehicles? Yes, this program applies to all new Toyotas that we sell. Hopefully our drivers will never have an accident, but in the event they do, does Limbaugh Toyota have a Collision Center? Yes. In fact, we have the only certified Toyota Collision Center in the Birmingham area.